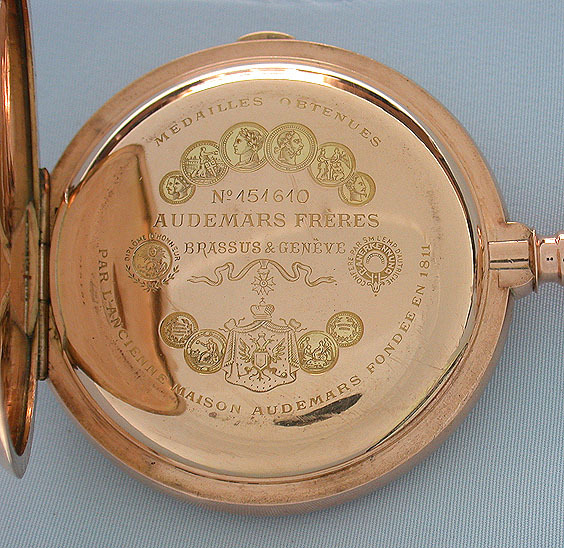 Fine and scarce Swiss 18K gold minute repeating grand sonnerie clockwatch in original box with sonnerie button by Audemars Freres circa 1900. 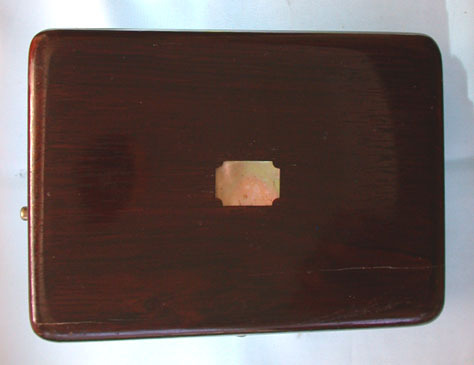 Plain polish hunting case with tiny ding and light pocket scratches. 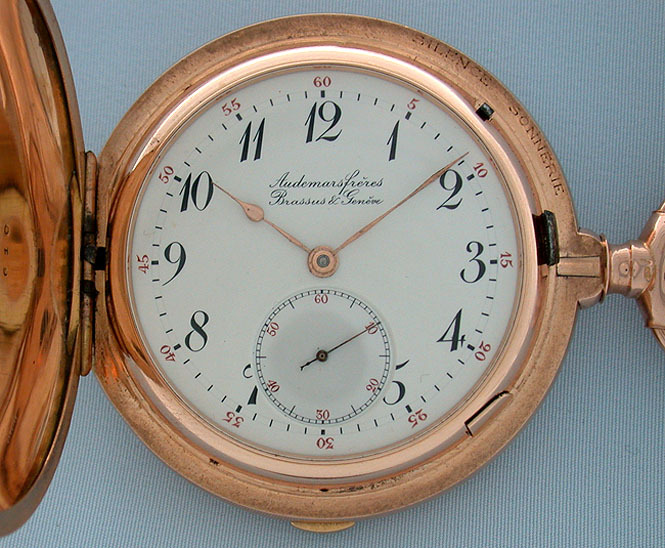 Repeater button in the band and strike/silent lever protruding from the bezel at 2:00. 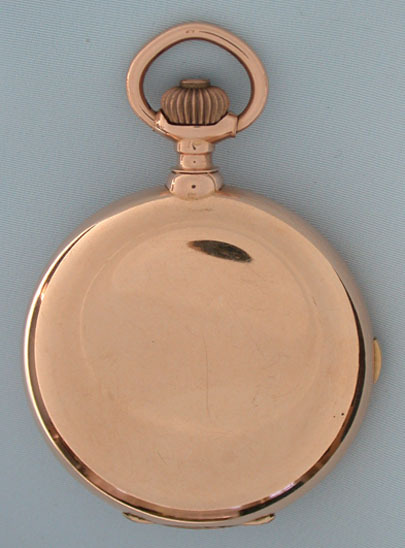 The first dust cover with medals, the inner glazed to expose the fine nickel 29 jewel tandem wind movement. 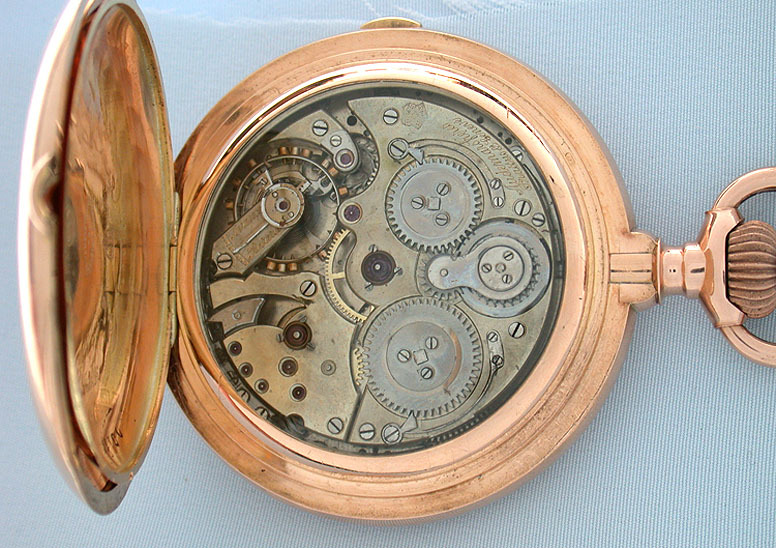 With the lever set to strike, this watch strikes the hours and quarters automatically every quarter hour. 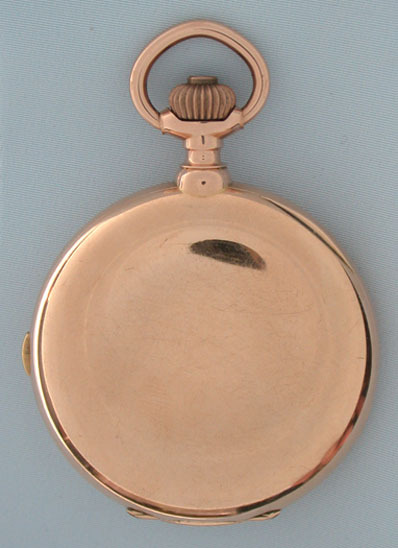 Also, when the button in the band is depressed, this watch chimes the exact time using different chime tones to designate the hours, quarter hours, and minutes. Loud clear chime. 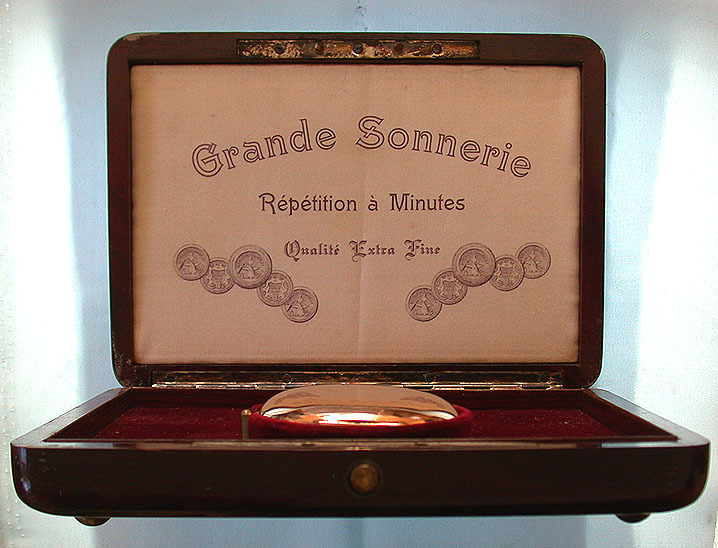 This watch comes with it's original box. A button on the side of the box activates the minute repeat even if the box is closed. Excellent example.